Boone wants his batters to concentrate on bearing down on full counts. 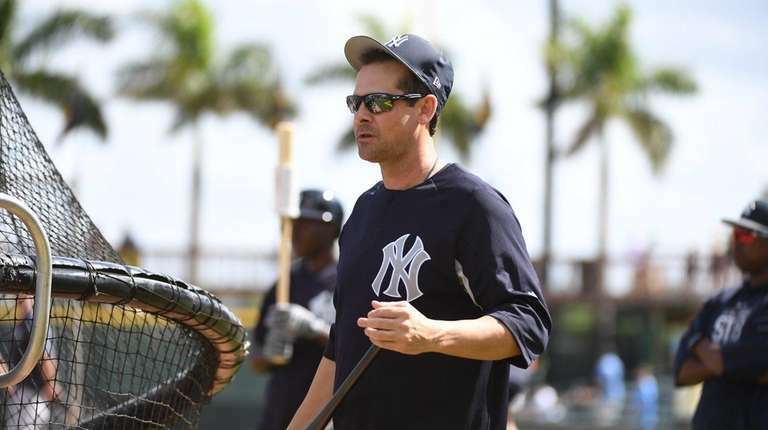 BRADENTON, Fla. — The Yankees worked seven walks in their exhibition opener against the Tigers on Friday and drew five more against the Pirates on Saturday. It’s exactly what Aaron Boone is looking for. In many ways, it would be a continuation of something the Yankees excelled at last season. The Yankees ranked first in the American League in walks (616) and third in on-base percentage (.339) and OPS (.785) in 2017. 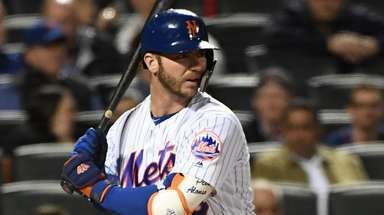 “We feel like if we do that, with our [slugging] potential, when you’re controlling the strike zone, that’s a dangerous combination,” Boone said. He said he wants his batters to concentrate on bearing down on full counts. The Yankees, of course, also struck out plenty last season, ranking sixth in the AL in that category with 1,386. Brandon Drury made his Yankees debut, starting at third base and going 1-for-1. Drury was hit in the left hand by Clay Holmes’ fastball in his second at-bat, which came in the third inning, but stayed in the game. He received ice treatment after leaving the game in the fifth, and X-rays were not deemed necessary. He also made a diving stop to his right of Eric Woods’ ground smash in the second inning, but first baseman Tyler Austin failed to scoop the throw out of the dirt. As part of an eventful afternoon for Clint Frazier, which included falling on his rear end on the warning track in left after making a leaping catch near the wall, he was picked off first by Holmes in the fourth after leading off with a line-drive single to left. Billy McKinney, who had a burst-on-the-scene spring training a year ago, hit a three-run homer in the ninth to snap a 1-1 tie . . . Domingo German started and allowed two hits and two walks in two scoreless innings. German, who was happy with his secondary pitches, struck out two.